Vermont’s only nuclear power plant will shut down by the end of next year, Entergy announced Tuesday. 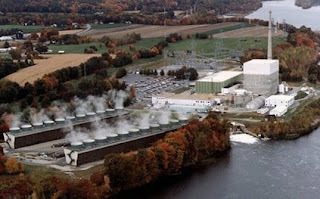 The Vermont Yankee Nuclear Power Station is expected to cease power production after its current fuel cycle and will begin being decommissioned in the fourth quarter of 2014. The station will remain under the oversight of the Nuclear Regulatory Commission throughout the decommissioning process. “Vermont Yankee has an immensely talented, dedicated and loyal workforce, and a solid base of support among many in the community. We recognize that closing the plant on this schedule was not the outcome they had hoped for, but we have reluctantly concluded that it is the appropriate action for us to take under the circumstances. When it closes, the plant will be placed in 'safe-store,' in which federal regulations allow it to be mothballed for up to 60 years while its radioactive components cool down before removal."